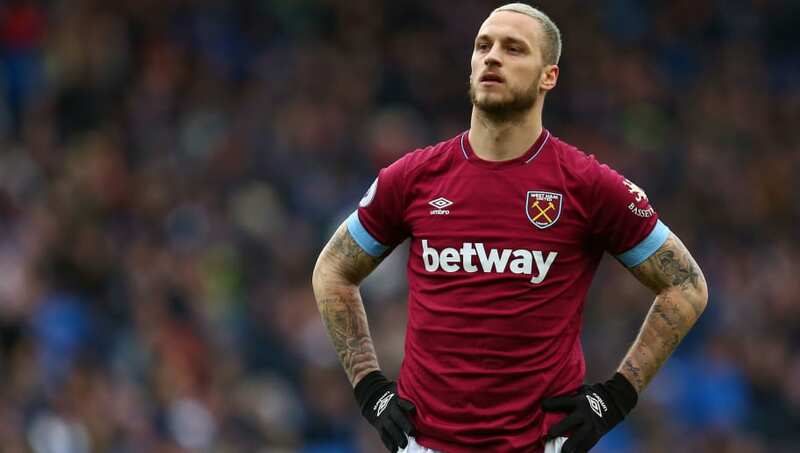 ​Former West Ham striker Dean Ashton has criticised forward ​Marko Arnautovic for his conduct during the January transfer window. During the transfer window, Arnautovic was the subject of a​ £35m bid from a team in the Chinese Super League. Arnautovic's brother, who is also his agent, subsequently said that the 29-year-old Austrian ​wanted to leave West Ham. After the Chinese Super League clubs had bid for Arnautovic, his brother believed that​ West Ham had an obligation to let him leave. Arnautovic then changed his mind and decided to stay at West Ham, ​signing a new contract. He has since struggled with injuries and only started two Premier League games. Ashton believed that Arnautovic and his brother did not deal with the situation in the correct manner. "Arnautovic didn't help anybody. It's never nice to see agents coming out and making statements for players and then suddenly you see the player taking a picture with the badge and signing a new deal," Ashton told ​Love Sport Radio. "It all didn't sit very well with the supporters. We haven't seen the best of him since." Arnautovic has failed to score and only provided one assist since he signed his new contract and Ashton felt that this shows the 29-year-old's lack of commitment towards the club. He added: "It's not as though that has happened and he's got his head down and put in great performances. He's struggled a bit with injury so it's kind of left a bit of a sour taste for everybody and it didn't help the team." Arnautovic joined West Ham in 2018 from Stoke City for a fee of £20m. After a difficult start, his form picked up after he was moved into a central striking position by David Moyes. He finished the season with 11 goals in 35 appearances in all competitions and was voted the club's Hammer of the Year at the end of the season.